A New Hampshire community is morning the loss of a 9-year-old boy. According to The Union Leader, Christopher Chester of Sandown died suddenly Oct. 23 while delivering homemade cookies to a friend. "He tripped or fell on the way there," Christopher's father William Chester said in a statement, according to the newspaper. "I asked him to get up and he didn't. When I (tried) to help him up, he was lifeless. I tried to wake him up and he wouldn't wake up. I ran to get my truck and put him in it and called 911." Christopher was a fourth grade student at Sandown North Elementary School and a member of Saint Anne's Parish of Hampstead. 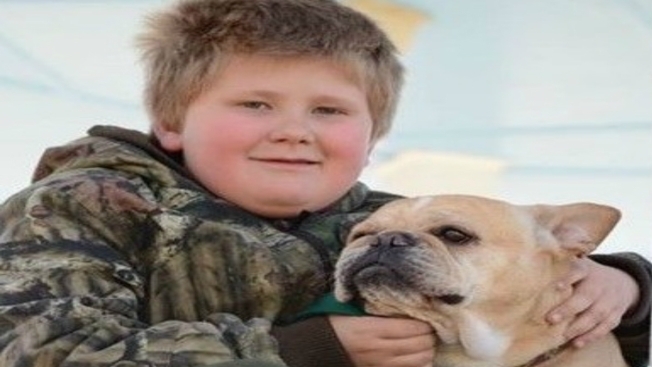 He is being remembered as an animal enthusiast who was very devoted to his dog "Jethro." His funeral is being held Wednesday. The family would appreciate donations to Christopher Chester by Kathryn Saffie Go Fund Me Account.